The last Test Kitchen ingredient we had was a jar of champagne mustard that one of Duc's friends had brought back to us from France. Naturally, we had to explore what it meant to be champagne mustard and upon that learning, we thought it appropriate to use it in a slightly different but still mustard-y way. One traditional way to incorporate mustard into savory dishes is via mustard cream sauce but to change it up a bit, I added some sake for an extra oomph to the scent. 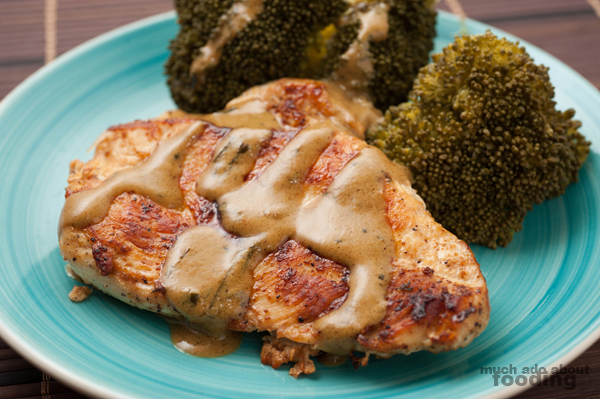 The mustard really highlights the chicken I paired this with, and the creamy factor makes it more acceptable to get some tang onto your plate! What is great about this recipe is how simple it truly is. Halve the chicken breasts so that you have four (4) flat pieces of chicken to work with. Season with garlic salt and pepper. In a separate bowl, mix together heavy cream, mustard, and tarragon. In a pan on medium heat, cook chicken breasts through until browned on both sides. Because they are sliced thinly, the process should take just under 10 minutes. Remove chicken from pan and deglaze pan by pouring sake onto it (heat is still on). Once sake has reduced by 50%, lower heat to low and gently stir in mustard cream. 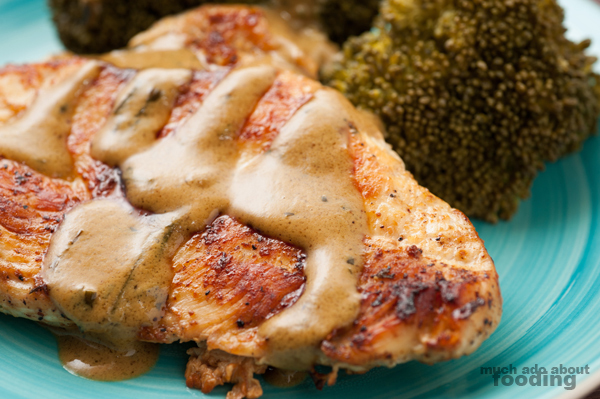 Mix well and serve over chicken. 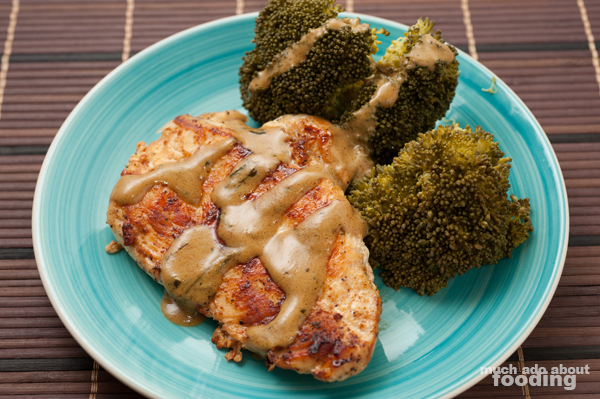 I also paired my meal with steamed broccoli but you can make your own vegetable choice! I used to eat a lot of salted radish as a kid growing up. It seemed to be a staple of Chinese cooking. In essence, it is daikon that has been preserved through salt and sugar and remains crunchy when eaten. My mom would wash it off or even soak the pieces in water to remove some of the excess sugar and salt before adding it to dishes. I'm wondering what else we could do with it aside from having it in porridge. What are your thoughts? Would love your suggestions!